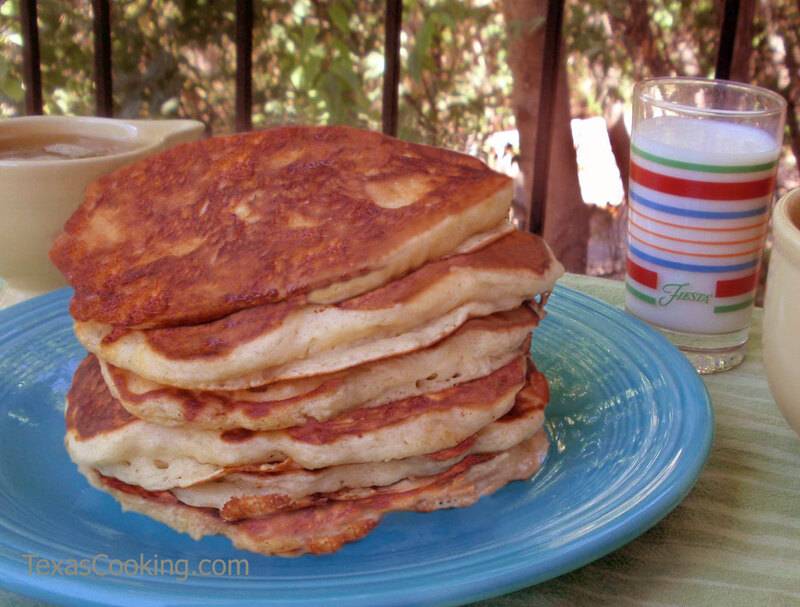 Everyone loves pancakes, and these appeal to both children and adults. In a large bowl, combine the flour brown sugar, baking powder, baking soda and salt, and set aside. In a second bowl, combine the eggs buttermilk, vanilla and melted butter. Mix well, then stir in the mashed banana and banana slices. Add the flour mixture to the egg mixture, and stir just until blended. Do not over-mix. Allow batter to stand for 5 minutes before using. In a small saucepan, combine maple syrup and butter in a 2-to-1 proportion (1 cup maple syrup and 1/2 cup (1 stick) butter). Heat gently and stir until butter is melted and mixture is smooth. Keep warm until ready to serve. Makes 12 to 14 pancakes.